I thought the Vikings at 18 was going to be an easy pick. Take the top interior offensive lineman and call it good. However, when both Jonah Williams and Cody Ford were off the board, things got a little more interesting. Both of those players offer positional versatility and would have made tremendous guards or tackles (if the Vikings prefer to move Rashod Hill to guard). I could have gone with Garret Bradbury, Chris Lindstrom, or Erik McCoy (who our own Benjamin Solak ranks at the top of his IOL rankings). I just couldn’t pull the trigger on any of those three and to be honest, if the board falls like it did here, I expect the Vikes to trade back. 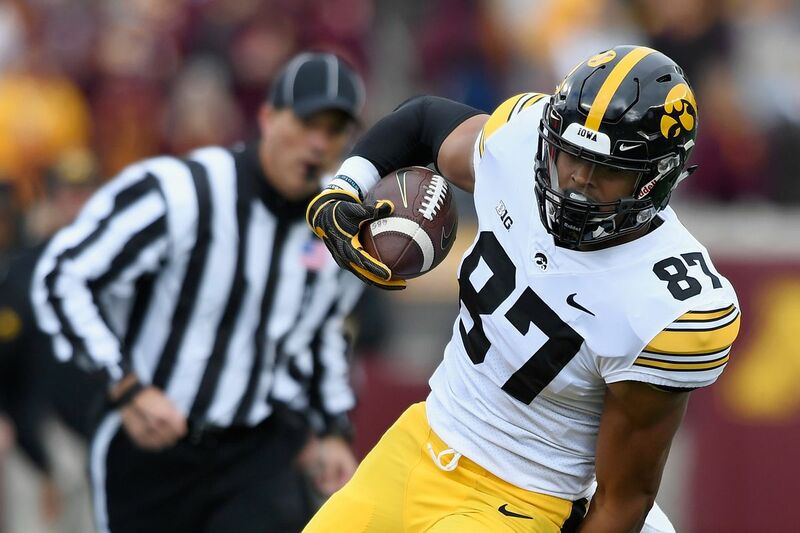 My big board had a couple of players ranked well above those three IOLs and I just don’t think you reach down the board when a player as good as Noah Fant or T.J. Hockenson is still available. The choice really came down to those two players and I think many of you will think I went with the wrong one, but let me explain why the pick is Fant, not Hockenson. First, the Vikings take a tight end because theirs are not good and they’ve been trying (unsuccessfully) to get a receiving threat late in drafts: Bucky Hodges and Tyler Conklin. Kyle Rudolph is 29 and on a contract he can’t live up to. He might be the slowest player in the league (exaggeration, but he seriously looks like he’s running through mud). David Morgan is a pretty good blocker, but he isn’t a receiving threat. That leaves them with no legitimate threat at the TE spot… which just happens to be a favorite target of Kirk (Kurt) Cousins. Remember watching him play for the Washington Football Team? The only player on that roster that scared anyone (before Chris Thompson) was Jordan Reed. If Reed had stayed healthy, Washington would never have fallen out of love with Cousins and he’d probably still be in the NFC East. The Vikings are fully committed to Cousins for two more years and need this experiment to work out. 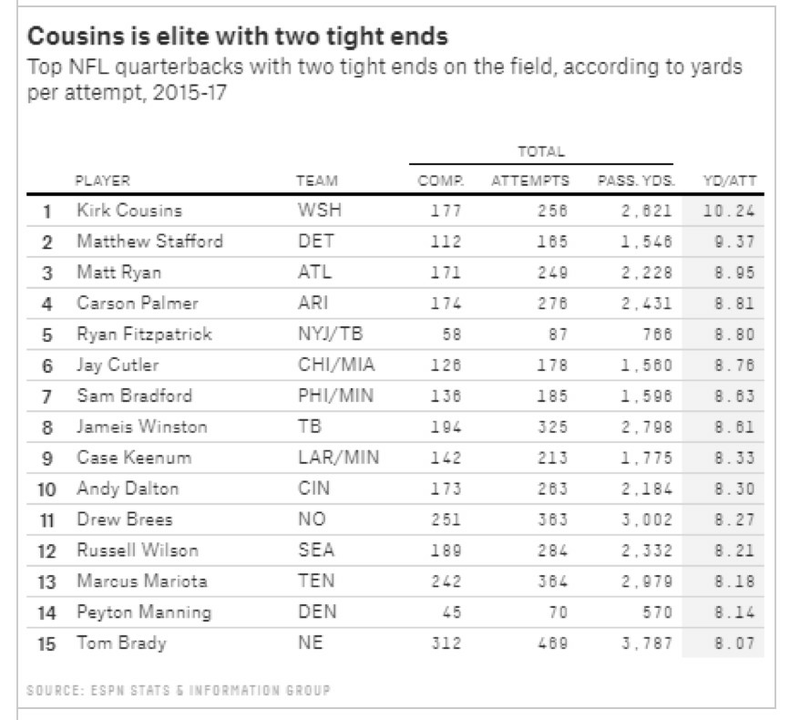 Cousins is an elite passer when targeting tight ends and even better when there are two tight ends on the field. Putting Fant and Rudolph on the field gives them a multitude of options. Rudolph bullying linebackers and safeties in the short to intermediate and Fant stretching the seams and pulling safety help away from Diggs and Thielen. The Vikings passing game becomes literally impossible to defend when they have these kinds of weapons at all the skill positions, especially when you add getting Dalvin Cook back. Fant’s ability to stretch the defense vertically is going to impact all aspects of the offense. Defenses have to respect his speed. By pulling a safety further from the sidelines, he opens things up for Diggs and Thielen, especially if they see cover 2. This also forces the defense to try to cover Dalvin Cook with a linebacker and I just don’t think there are many linebackers capable of doing that. Additionally, Thielen is absolutely devastating in the middle of the field. If Fant commands safety coverage and/or can force the defense to play deeper in the middle of the field, Thielen is going to have more room to operate in that space. Fant reminds me a little of Dallas Goedert as a blocker. He is a willing participant, works extremely hard, and has shown significant improvement. These two tight ends are both really well rounded and it’s almost a shame they played on the same team. Had one of them played anywhere else, he’d have been asked to show more of their “weaknesses.” Hockenson is also a strong receiver. Fant is also a strong blocker. Iowa knew their strengths and played to them (of course) and that works against them in evaluation. We can’t assume that Fant was a bad blocker just because Hockenson was asked to do it more often. That’s a testament to how good of a blocker Hockenson is more than a knock against Fant. Now, take a minute to rank the best tight ends in the game. Even go back to the last 20 years. The names at the top of your list are there because of their receiving prowess. Poor blocking can ruin a tight end’s game, but we aren’t talking about a tight end who can’t block. Fant’s floor is extremely high because he is such a strong receiver. There is virtually no chance that he flames out in the league. In addition to that high floor, Fant has as much upside as any tight end to enter the league in some time. He has the athletic profile to dominate and his teammates talk about his work ethic as being exceptional. This guy might be the best tight end in the league in the matter of a few years. Hockenson will be a very good tight end, I just don’t think he has the same potential as Fant. While I was initially disappointed by the board when it got to me at 18, I keep getting more and more excited about this pick. If this is the direction the Vikes actually go, my friends here in ND are going to love watching Cousins earn their excitement back. Because, when he has a threat at the tight end spot, he’s almost worth the contract they gave him! Now it’s time for you to vote for who YOU think the Vikings should pick in the 2019 BGN Community Consensus Mock Draft. Who should the Vikings draft at No. 18 overall? This Article has a component height of 77. The sidebar size is long.